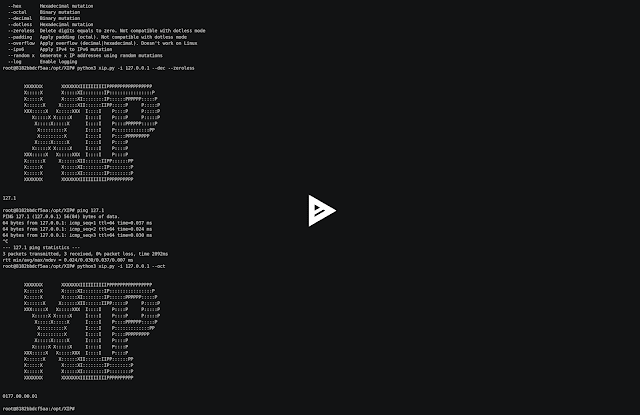 Home / Bypass / Drupwn / IP addresses / Linux / Mac / Registry / Security / SET / XIP / XIP - Tool To Generate A List Of IP Addresses By Applying A Set Of Transformations Used To Bypass Security Measures E.G. Blacklist Filtering, WAF, Etc. XIP - Tool To Generate A List Of IP Addresses By Applying A Set Of Transformations Used To Bypass Security Measures E.G. Blacklist Filtering, WAF, Etc. XIP generates a list of IP addresses by applying a set of transformations used to bypass security measures e.g. blacklist filtering, WAF, etc. docker build -t xip . Docker will download the Alpine image and then execute the installation steps. Be patient, the process can be quite long the first time. Once the build process is over, get and enjoy your new tool.